I met Brina on Women’s Day in the year 2017. We were introduced by a close friend of mine, Vithiya, who called me one day sounding frantically excited about getting to know her sister’s friend, who is loves books and is a writer. I got to know that Brina is a proud cancer survivor; twice, and that she is a medical school graduate pursuing her dreams to become a full-time writer. I was awestruck and dropped her a message on Facebook in no time. It felt like we were friends for many years and we very much felt connected. I find Brina strong and amazing, and it is a great honour to have her interview up on my site. I believe you would enjoy reading her interview. Born and bred in Johor Bahru. Well, writing has always been my passion. It has always been like an escapade into my own imaginary world! Aaaah, I’ve written 7 books now. Two on clairvoyance, another on cancer (this work of mine holds a very special place in my heart as i wrote this book when i was battling with cancer, myself), and moving on, i have written one on inter-religious marriage. 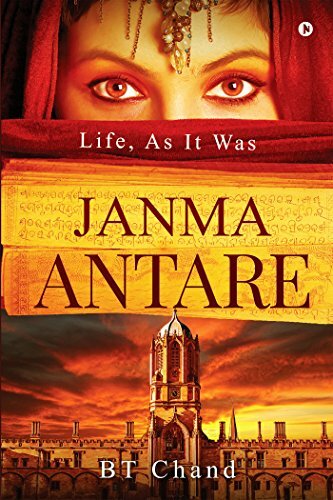 Oh yes, also Janma Antare which explored rebirth and the sequel- the eastern concept of Illuminati. Im currently working on the brothels and prostitution in Bangladesh. I dont particularly focus on one genre. I write on almost anything just comes across my mind! Medical school lectures( that is when i wrote almost all my books) and now, my temper tantrum throwing attention-seeking son! I started writing at the age of 10 after the untimely demise of a good friend of mine. Writing became a tool for me to express myself. When i was 15, i told my father during dinner that i want to be writer and he rolled his eyes at me and said, a firm “No”. I went on to medical school but still did not stop writing. The passion and love for writing grew with me. And then one day, i decided to quit work and went on to pursue writing! I had always maintained a very disciplined schedule- i made it a point to write 5 pages minimum, daily and well, that went on at least till my son was born. Now i thank God, for a decent 5 minutes while i sip in coffee or to settle to read a book without him tailing and wailing by my side! It takes me almost a year to write a book and maybe another half a year (or less) to get the manuscript typed out. To be a good writer, is to be connected to your work. My husband has been my greatest support till date. My sisters and my best friend have read almost all my manuscript and well, i can say they are my fans, they are my critics. When my mother said i was one! And that happened when i was 17. I wish you well in your future writing projects. Let’s talk over a cup of coffee soon!